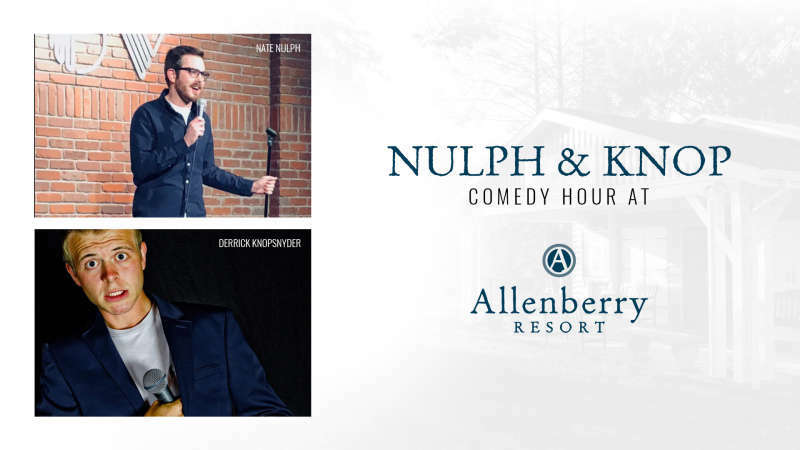 Join us on Tuesday, May 21 from 7:00 – 8:30 p.m. as we welcome renowned Pittsburgh comedians Derrick Knopsnyder and Nate Nulph to the Playhouse. Laugh a little (or maybe a lot) with a night full of stand-up comedy, drinks, and good company in our historic setting. This one-of-a-kind, central PA comedy show is one you certainly do not want to miss! Follow Nate on social media or check out his website to learn more about his appearance at our central Pa. comedy show. Derrick Knopsnyder officially made his start doing stand-up comedy after his first year in college, and he never looked back. As one of the fastest rising comedians in Pittsburgh, Pa., Derrick uses his charm and quick wit to connect with audiences all over. He is a previous winner of The Stand Up to Cancer Comedy Competition in Huntingdon, Wv., and he was most recently named a finalist at the Cleveland Comedy Festival. His next stop? 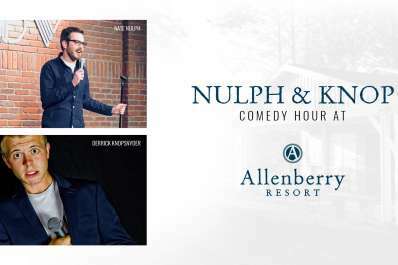 The central Pa. comedy show at the Playhouse at Allenberry Resort! Check out Derrick on social media or through his website to learn more.